Governor M.L. Panadda Diskul offers flowers to the portrait of HM the Queen in honor and respect of her birthday. In an annual event a birthday party was held by the Provincial Government at the Empress Hotel to celebrate and honor HM the Queen on her birthday. HM Queen Sirikit celebrated her 80th birthday on Sunday August 12 and the party was held on Tuesday August 14 to give officials a chance to return from the long weekend. The evening was attended by the diplomatic corps as well with the new Chinese Consul General joining with the American Consul General and Indian Consul to pay their respects to HM the Queen. (Photos by Ronnakit Norkham). The ladies turned out in blue, the color of the day of the birth of HM the Queen and traditionally worn on her birthday. Governor ML Panadda Diskul leads a toast to HM the Queen. Kenneth Foster, the U.S. Consul General, Shana Kongmun of the Chiang Mai Mail, and Chang Wei Cai, the new Chinese Consul General and his wife at the party held at the Empress Hotel. The Chiang Mai Mail joins the Kingdom of Thailand to present our loyalty and devotion to Her Majesty Queen Sirikit on the occasion of her 80th birthday, on Sunday August 12, 2012, and our best wishes for a most Happy Birthday and a long life. We’d also like to say Happy Mother’s Day to one and all. HM Queen Sirikit was born on August, 12, 1932, daughter of the then Thai Ambassador to France, Mom Chao Nakhatmongol and his consort Mom Luang Bua Sanitwongse. She attended school in Paris after the end of World War II and met her soon to be husband, the future King of Thailand, Bhumibol Adulyadej, in Paris, while both were studying in Europe. The new King and Queen of Thailand were married by HM Queen Sawang Vadhana, the paternal grand-mother of His Majesty at the Sra Pathum Palace in Bangkok, on 28 April, 1950. HM Queen Sirikit was officially instated as Queen Somdej Phranang Chao by His Majesty King Bhumibol Adulyadej, when he acceded to the Throne as the Ninth Monarch of the Rama Dynasty, on the fifth of May, 1950. HM the Queen has been active in helping women advance themselves with her SUPPORT Foundation, Established 21 July 1976 SUPPORT Foundation, or the Supplementary Occupations and Related Techniques was formally established to further the activities started by the Queen, who, using her own funds, helped to establish cottage industries for village and farm women. Her Majesty supplied weaving looms and materials to make fabrics, clothing and soft goods, as well as providing equipment to produce other marketable items. Her support of the renewal and teachings of traditional techniques has brought about the revival and fame of the Thai silk industry. 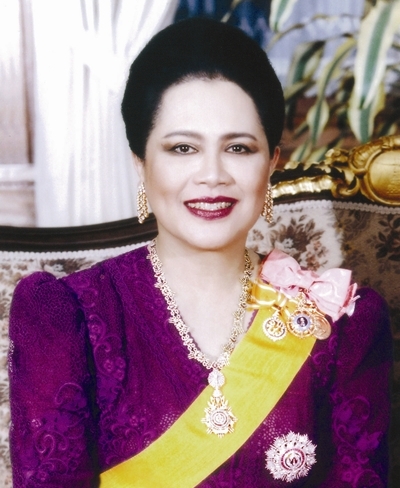 HM Queen Sirikit’s birthday has always been celebrated as Mother’s Day in Thailand, which is appropriate for HM the Queen who is regarded by each and every Thai as the “Loving Mother of the Thai Nation”. This graphic from the National Astronomical Research Institute of Thailand (NARIT) shows the best locations to view the showers should the skies clear enough. Hopefully the skies will clear enough for the next three days to see a glimpse of what is expected to be quite a spectacular meteor shower this year as more than 60-100 meteors are expected per hour. 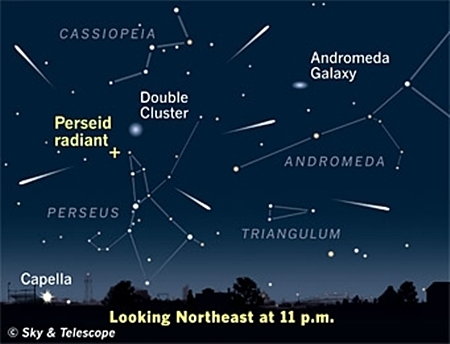 The Perseid showers recur yearly, usually beginning around July 22 and ending a month later, however they are expected to peak this weekend. The Perseids are named such because they appear to radiate from the Perseus Constellation, the meteors rip through the atmosphere at a very high rate of speed, around 60 km an hour, one of the fastest moving showers the Earth sees. The Perseid Showers have been observed for about 2000 years with the first reports coming from Asia. The Perseid meteor showers are caused by the Earth's passage through a steam of debris left behind by the Swift-Tuttle comet. To make it extra special, Jupiter, Venus and the crescent moon are lining up right in the middle of the display. If the skies are clear enough the Perseid showers can be seen in the pre-dawn hours. The best display is expected after midnight on the 12th and into the early hours of the 13th of August, 2012. In a sting operation gone horribly wrong, San Patong police were called to the scene on August 7, 2012 to find Pol. Lt. Pitak Chaiwong stabbed by an alleged drug dealer, although he was alive at the scene the wound to the right side of his chest was fatal and he died later at the hospital. The alleged attacker was also injured in the melee where Jatae Jamornjarudetch (26), of Omkoi district, was found hiding in a drainage ditch with three bullet wounds. Jatae was sent to Maharaj Nakorn Hospital and survived his wounds. Police found 400 methamphetamine or Yaba tablets on the suspect. American resident of Chiang Mai Lawrence “Larry” J. Wheeler was found dead in his Sansai home on July 16 by a friend from what police are labeling a suicide as he was found with a plastic bag and a can of helium in a method of suicide that is called an “exit bag”. The method of suicide causes the person to pass out before dying. The report was only recently released by the police. The 67 year old man had been resident in Chiang Mai since 1985 and had previously worked as a teacher although he had been having serious health issues over the past several years including a couple of strokes, diabetes and heart disease. He had posted on his website blog that he planned to kill himself as he was tired of all his health problems. President of the PAO Boonlert Buranupakorn announces coordination efforts with the Office of Public Health to fight the outbreak of hand, foot and mouth disease in Chiang Mai Province. The Chiang Mai Administration Organization (PAO) and Chiang Mai Public Health Office have started a campaign to fight the outbreak of hand, foot and mouth disease that has seen more than 400 patients in Chiang Mai province. The President of the PAO Boonlert Buranupakorn and Deputy Chief of the Chiang Mai Public Health Office Dr. Surasing Wisarutrat announced prevention projects for combatting hand, foot and mouth and hemorrhagic dengue fever in Chiang Mai Province. The Bureau of Epidemiology, Disease Control Department, Ministry of Health reported 17,656 cases of hand, foot and mouth disease, or 27.79 per one hundred thousand people and 1 death from January 1- July 15, 2012. Chiang Mai has the highest rate of infections reported with a rate of 40.89 per one hundred thousand, more than 400 cases. The rainy season has also brought dengue fever with it, with the Bureau reporting 23,213 cases from January 1-July 17, 2012. The nationwide rate was 30.8 per one hundred thousand, and 37 deaths. Dr.Surasing said the country sees a hand, foot mouth disease outbreak every year, especially in the rainy season when the outbreak is at its height. Two child care centers have been closed in the province to sterilize the schools. Children are encouraged to wash their hands on a regular basis and parents are told to watch for high fever and rashes on the hands. He noted that children under 5 are most at risk. He added that dengue fever is expected to peak in August and September with numbers currently hitting 150 reported cases per month. President Boonlert said that the PAO network and 42 council members need to synchronize their efforts with local governments in the area and to require child care centers and schools to report to the PAO while they will coordinate with the Public Health Office to provide assistance in a timely manner. 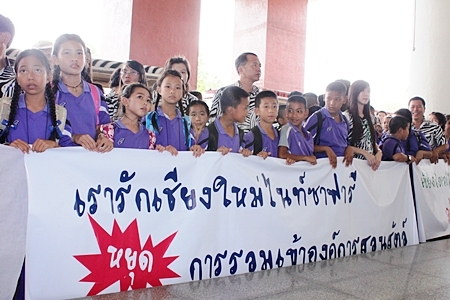 More than 200 staff and students protested the proposed merger of the Chiang Mai Night Safari with the Zoo at City Hall on July 27, 2012. 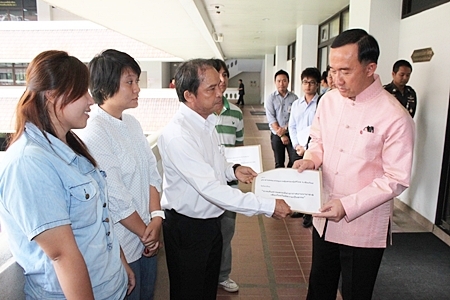 Staff of Chiang Mai Night Safari were joined by students to submit a letter with Chiang Mai Governor M.L. Panadda Diskul to protest the proposed merger of the Chiang Mai Night Safari with the Zoological Park Organization of Thailand on July 27, 2012. The Office of the Public Sector Development Commission sent a letter to the Cabinet government of Prime Minister Yingluck Shinawatra to approve the merger that was proposed at a meeting on June 25, 2012. The Deputy CEO of Chiang Mai Night Safari Dr. Chumphon Musikanont filed the letter of protest backed up by over 200 staff and students from Baan Fon School in Hang Dong. He said that there is a concern that there is a lack of integration of organizational activities, that business management of the Night Safari will suffer and that the marketing, budget and personnel regulations of the government are not conducive to business administration of the Night Safari. He added that the aims of the Night Safari is quite different from that of the Zoo, that it was established to be a natural habitat theme park for wild animals rather than animals in cages. He added that many employees will be hurt by lower salaries as they will have to be based on the salary structure of the Zoo, job insecurity and the Night Safari will be subordinate to the Zoo. Dr. Chumphon said that this is the third time the merger has been proposed and that each time the community has protested against the merger. He added that the acquisition is not likely to benefit the nation. He added that the social, economic and environmental dimensions of the enterprises which cannot be streamlined. In past evaluations of the Chiang Mai Night Safari gave it four out of 5 in the ratings. 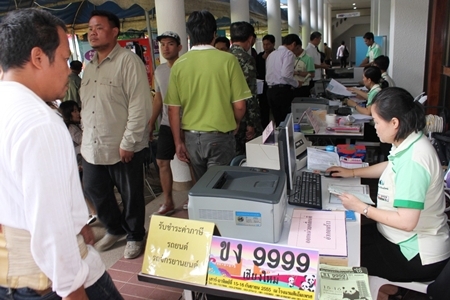 Additionally income has risen each year and saw 50 million Baht in 2011 and already 78 million Baht in 2012. “We believe in the fairness of the Prime Minister. The Chiang Mai Night Safari was established by former Prime Minister Thaksin Shinawatra, who wished it to be a magnet for visitors to Chiang Mai. There are several solutions. We need to restore and sustain the spirit of the founder. I hope and trust in the fairness and the idea of the government on this issue, “said Dr. Chumphon. Chiang Mai Deputy Governor Worakran Yokying held the opening ceremony for the One Stop Service together with Government Section Chief. Here interested visitors throng to the various departments to handle their government business. More than 30 public and private agencies in the province took part in a One Stop Service at City Hall on July 25 and 26, 2012. Chiang Mai Governor M.L. Panadda Diskul proposed the idea, seeking to integrate public services and to seek cooperation among the parties involved. The One Stop Service reduces the time spent for members of the public in having deal with various governmental agencies. The Governor has proposed that the government investigate providing one stop services to the public that will reduce the cost of access to services, shorten the time for the public and provide greater satisfaction with the government to the general public. Due to the high number of tourists and residents who are injured and die in Chiang Mai from road accidents the Committee for Accident Prevention and Road Traffic Management and the Thai Health Promotion Foundation Office called upon the government and relevant agencies to find a solution for the problem. Dr. Teerawuth Komutbutr, a representative from the Committee noted that a large number of deaths were due to drunk driving and driving without a helmet. 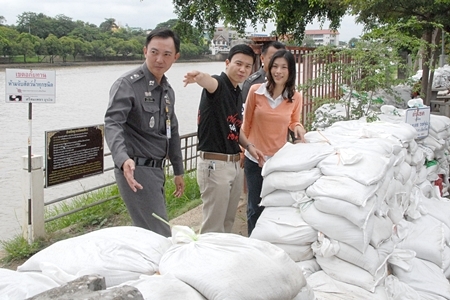 He added that the police said Chiang Mai ranks third behind Bangkok and Nakhon Ratchasima. He said approximately 3,903 people per one hundred thousand are injured in accidents every year while around 43 per 100,000 are killed annually making it the fifth leading cause of death in the nation. The average age of victims of both injury and death are between the ages of 15-34 years old and include students, laborers, farmers, business people and tourists. 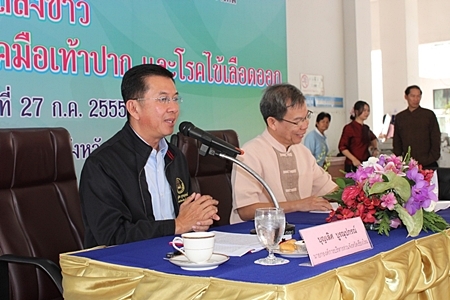 The doctor urged the government to declare road safety a national agenda, noting that the entire world is paying attention to the road accident death rate in Thailand as it now ranks 6th in the world and worst in the world for motorbike and two-wheeler deaths with more than 11,000 motorbike drivers or passengers dying annually. Motorbike accidents account for 70% of the country’s road fatalities. Dr. Teerawuth said that a key factor is enforcement of helmet laws, noting that mortality rates for those not wearing a helmet and in an accident are 80% higher than those who are wearing helmets. He added that Chiang Mai has great potential to develop with its many attractions and leading institutions of higher education however, he concluded, it is crucial that the government provide education and enforcement of laws to prevent road accidents. “We need to make changes now,” Dr. Teerawuth concluded. The Japanese Consul General Kazuo Shibata (2nd right) signs the funding agreement with Udom Noomsri, Chief Executive of Bankart Sub-District Administration Organization (center). The Government of Japan, under its Grant Assistance for Grassroots Human Security Projects Scheme (GGP), will provide funds amounting to 2,825,000 baht to purchase a fire engine for Bankart Subdistrict in Mae Wang. 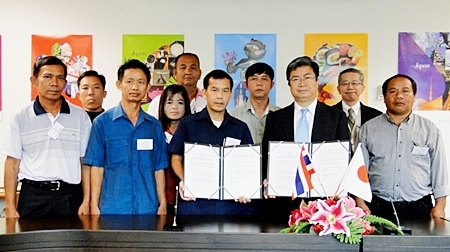 On 26 July, 2012, Mr. Kazuo Shibata, Consul-General of Japan in Chiang Mai, and Mr. Udom Noomsri, Chief Executive of Bankart Sub-District Administration Organization, signed the funding contract at the Consulate-General of Japan in Chiang Mai. In Bankart there is a growing threat to the lives of the residents as well as farms and homes due to fire spreading from wildfires in hill areas during the dry season. The fires, attributed to the mishandling of burning fields and foraging in forests, are the cause of haze, which affects the health of residents and the environement. The Bankart Sub-District Administration Organization, has enlisted volunteers to fight fires but their one fire engine is more than 40 years old and breaks down constantly rendering it ineffective in fighting fires. Additionally, they do not have any equipment to remove debris and trees or repairing electric wires and poles damaged by severe rain storms. The Government of Japan will fund the purchase of a multi-purpose fire engine with a feed tank, crane for lifting heavy debris and trees, and a basket which will enable the corps to work in high positions. Carlo Schmid with Swiss Honorary Consul Marc Dumur and his lovely wife Luxami Utaipol who hosted him at the Frangipani Serviced Apartments on his second, and last, night in Chiang Mai. Just the other day my friend and I were discussing the seeming relentless selfish pursuits of youth with their solitary lifestyle playing video games, social interactions online and on the phone and then, out of the blue quite literally dropped an inspirational young man into the Chiang Mai skies. Carlo Schmid is an attractive 22 year old Swiss man who has had a dream of flying around the world since he was 16 and obtained his pilot’s license. He plans on setting the Guinness Book of World Records for youngest solo pilot to fly around the world, breaking the record set in 2007 by then 23 year old American Irving Barrington who circumnavigated the globe in a single engine aircraft in 97 days. Carlo hopes to complete his journey in 80 days. Carlo said his father used to take him on glider flights from the nearby airport when he was young and one day all flights were grounded due to heavy fog. He met a flying instructor who spent the day with him teaching him how to fly a glider at the age of 11 and there a deep love for flying and the seeds of a dream were planted. He obtained his pilot’s license at the age of 16, all paid for by money he had saved from gifts and odd jobs. Carlo noted that part of the test was a solo 120km flight from which he landed dreaming of flying around the world. All net income raised during his flight will go to UNICEF Switzerland to fund girls’ education in India. It was at this point that a group of friends got together to help him realize his goal, “the average age of the team is 24” Carlo said, adding that they want to show that the young generation can use new technology to help others. He said that the team obtained all their sponsors themselves, private and corporate sponsors can donate money and have their name painted on the plane as it makes its way around the world. He started on his rented Cessna 210 from Zurich on July 11, 2012 and hopes to land there on September 29 after stops in the Middle East, Asia, Canada and the US and then on through Iceland and into Europe for a total of 40,000 km. He said he tries to average around 4-5 hours for each hop, flying from Kolkata in India to Chiang Mai in 4 hours and 20 minutes. Carlo said arrival in Chiang Mai was a nice change, that everyone at the airport was very friendly and helpful and clearing customs and Immigration took only a short while, unlike in India where it took hours. After Chiang Mai he flew to Udon for one day then on to Nha Trangh in Vietnam and on to the tricky part; the Philippines and Taiwan in typhoon season. In fact, Typhoon Vicente struck Hong Kong as Carlo made his way to the Philippines. He was equally enthralled by his visit the mosque of the Sultan of Oman when he stopped there and amazed by the extremes of India. Thailand recorded a 31% increase in tourism receipts in 2011 over 2010, according to Ministry of Tourism and Sports figures. The total earnings of 776 billion baht (US$25.45 billion) were also well above the original target of 716 billion baht (US$ 23 billion). The figures show that Thailand has recorded clear increases in both quality and quantity of visitor arrivals. The growth in total number of visitors is being matched by increased average length of stay and average daily expenditure, further underscoring the role of tourism as one of the most important economic sectors and contributor to job creation and nationwide income distribution. According to the Ministry, Thailand recorded 19.23 million international visitors in 2011, up by 20.67% over 2010. With an average length of stay of 9.64 days, and an average daily spend of 4,187.12 baht (US$137) per person, the Thai tourism industry generated 776 billion baht in earnings. By regions, the East Asia (+39.40%) recorded the largest increase in receipts in 2011, followed by South Asia (+33.27%), Oceania (+32.84%), Africa (+32.21%), Europe (+26.20%), the Americas (+20.36%) and Middle East (+19.79%). Europe holds the largest share of international tourism receipts in absolute numbers (38.23%), reaching US$ 9,733 million in 2011, followed by East Asia (37.33% or US$ 9,505 million), the Americas (7.10% or US$ 1,807 million), Oceania (7.30% or US$ 1,858 million), South Asia (4.85% or US$ 1,235 million), the Middle East (4.29% ) earned US$ 1,093 million and Africa (0.88%) US$ 224 million. According to the per capita daily spending, the top 10 ranked tourism spenders in 2011 were UAE (US$175.21), Saudi Arabia (US$166.92), South Africa (US$164.10), India (US$161.78), Hong Kong (US$161.63), Singapore (US$160.96), Kuwait (US$159.66), Australia (US$159.19), Brunei Darussalam (US$155.30) and Korea (US$153.17). Amongst Asian visitors, the lowest daily spend is by Laotians (US$101.99) and amongst Europeans, the lowest daily spend is by Germans (US$115.46). In terms of total expenditure by all visitors, the top five nationalities were Russia, China, Australia, Malaysia, and United Kingdom. Thanks to the increasing number of charter flights, Russia is now the top generator of arrivals from Europe, up 63.45% to 1,052,361 in 2011. In 2011, Russian tourists spent a total of US$1,970.84 million (60 billion baht), based on an average length of stay of 13.29 days and an average daily spend of US$140.92 per person. In 2011, China was the second largest source of visitors after Malaysia, with total arrivals of 1,704,800, up 50.57% over 2010. Based on an average daily spend per person of US$146.63, and average length of stay of 7.61 days, Chinese visitors generated tourism revenue of US$1,902.32 million (58 billion baht). Australian visitors to Thailand totalled 835,719, up 18.89% over 2010. Based on an average length of stay of 12.78 days and an average daily spend of US$159.19 per person, Australians generated US$1,700.27 million (51.8 billion baht) of tourism income. Malaysia is Thailand’s largest source of visitor arrivals with a total of 2,492,034 in 2011, up 21.73% over 2010. Based on an average length of stay of 4.78 days and an average daily spend of US$137.10 per person, Malaysia generated US$1,633.15 million (49.79 billion baht) in tourism receipts. The United Kingdom is the second largest generator of arrivals from Europe with a total of 771,466 visitors in 2011, up 1.48% over 2010. Based on an average daily spend of US$121.84 per person and an average length of stay of 17.35 days, the UK generated US$1,630.80 million (49.72 billion baht) in tourism receipts. The Chiang Mai Municipality will be hosting the 31st annual Lanna Flora Festival 2012 at the Train Park from August 9-13, 2012 in honor of HM Queen Sirikit’s 80th birthday on August 12, 2012. 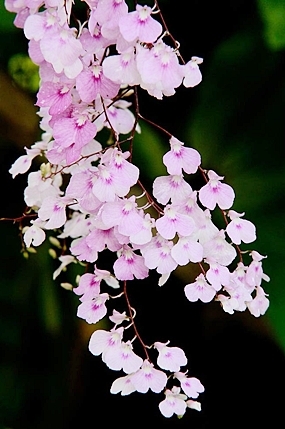 There will be orchids on display as well as contests from growers at the Lanna Flora Fest to be held at the Train Park from August 9-13, 2012. Chiang Mai Mayor Tussanai Buranupakorn said that the Festival, being held by the Chiang Mai Municipality, the Chiang Mai Orchid Group and Chiang Mai Bonsai Club, will celebrate and honor HM Queen Sirikit who has been instrumental in preserving native species. The Queen Sirikit Botanic Gardens in Chiang Mai as well as Queen Sirikit Park in Bangkok were named in her honor. The fair will promote agriculture, orchid cultivation and preservation of native species. The fair will feature an orchid contest, as well as best of in bonsai and other decorative plants. There will be sales of farm products as well as flowering plants as well as music, food and live shows. It will also be designed to open new destinations and decongest the popular ones. Domestic tourism has become an increasingly important component of the overall tourism mix. The growing Thai middle-class has the time, means, and the propensity to travel. It plays an important role socially, economically, environmentally and culturally. Its importance has become particularly acute especially in times of crisis, when international travel tends to be affected, enhancing the role of domestic travel as a means of economic survival. Thai government offices and many large corporations, both Thai and foreign, are also offering domestic trips as part of their incentive programs and holding their corporate meetings, team-building events and training forums within the country itself. Also aiding and abetting the growing numbers of domestic travellers are the vast improvements in the quality of Thailand’s road system, low-season marketing campaigns by the hotels and the increasing number of low-cost airlines operating in the country. from Dr. Chuanchom Boonrahong on behalf of 23 complainants. A group of Chiang Mai citizens led by Dr. Chuanchom Boonrahong from Maejo University submitted a letter of complaint signed by 23 car park users including Maejo University, Payap University and Chiang Mai University lecturers as well as members of a consumer protection group to Chiang Mai Governor M.L. Panadda on July 23, 2012 at City Hall. The protest letter stated that the 200 Baht a day fee for parking at Chiang Mai International Airport was unfair as it was a public area. He added that the original price of 50 Baht had doubled to 100 Baht and then doubled again to the current price of 200 Baht. Dr.Chuanchom Boonrahong said that the price was not correct based on the local economy, especially when compared to the prices at Suvarnabhumi Airport. He added that if this decision is the result of the private subcontractor then the Airport can cancel it. The Airport reasoned that it had increased the price as the number of parking spaces was limited and they wanted to reduce the number of cars parking in the airport. However Dr. Chuanchom said this was not the case and added that it hurt the regular consumers who were not reimbursed for their parking fees like government employees were. They asked that the Governor arrange a meeting with Airport officials within a month. The Governor accepted the petition and said they would work on a solution to the pricing issue and work to arrange a meeting. Phuping Police were called to Bussaya Apartments on Nimmanhaemin soi 15 at 1:30 a.m. on July 25 after a man was reported to have fallen from the building. The police found the body of Theparit Thamdej, age 20 of Mae Taeng in the parking lot. Witnesses told police that the man had friends who were living in the building and that he had planned on staying with them in their room on the 8th floor. The deceased had come back late and knocked on the door and tried phoning but his friend did not wake up. He tried to rouse his friend for about half an hour and finally decided to climb to the balcony and enter the room that way, but he slipped and fell 8 floors to the parking lot. Police report that he hit a balcony on a lower floor as he went down as they found blood on the railing. They believe that impact crushed his skull and he was dead before he hit the ground. His body was transported to Majaraj Nakorn Chiang Mai Hospital for an autopsy to confirm cause of death. 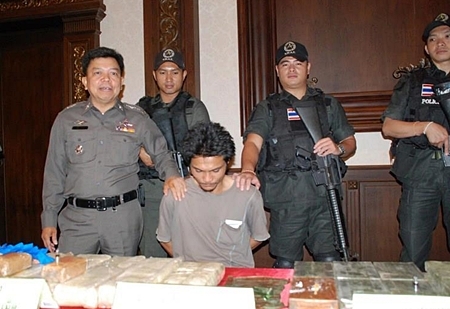 Chalerm Manori of Sanpatong is seen here with the confiscated heroin and Yaba. A Sanpatong native was arrested inside Chiang Mai city on July 22, 2012 when the accused drove his truck into a ditch on Padaed Road. Police came to the scene of the accident and uncovered more than 88,000 methamphetamine tablets or Yaba and 7 kilograms of heroin hidden in a box in the truck belong to Chalerm Manori, age 33. Police announced the arrest and seizure of the drugs with a street value of more than 35 million Baht at Region 5 Police Headquarters on July 23, 2012. Region 5 Commander Pol. Lt. Gen. Suthep Dejraksa said the police was part of a major smuggling ring across the border in Chiang Dao and had done the trip several times. The drugs were destined to be sold to an agent in Bangkok. Interpol in cooperation with the Thai Crime Suppression Division and Lamphun police arrested Robert Dominic Bernard, age 29 and a citizen of the United Kingdom to extradite him back to the U.K. for a murder committed on July 4, 2007. Mr. Bernard was found working as an IT expert at a local electronics manufacturer in the Muang District of Lamphun. The United Kingdom issued an extradition order; the Thai police cooperated with the arrest although the suspect maintained his silence upon arrest. Mr. Bernard was accused of shooting Tomlin Duane in a taxi in Anfield on July 4, 2007. He escaped to Thailand with an Ivory Coast passport under the name of Kouaolio Christophe Brou. Police believe the murder was drug related. Scotland Yard listed him on the London Most Wanted website http://londonmostwanted. crimestoppers-uk.org. He is currently being detained in Bangkok pending deportation to the United Kingdom. 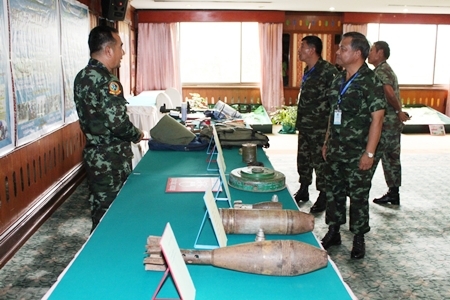 The Thailand Mine Action Center (TMAC) of the Royal Thai Armed Forces Headquarters put some of the recovered landmines and bombs on display. The Thailand Mine Action Center (TMAC) of the Royal Thai Armed Forces Headquarters reported that border regions with Myanmar remain at risk and urged the general public and especially children to be aware of their existence. Chief of the TMAC Lt. Gen. Chatree Changrean said that they have reduced 439 dangerous spots in the North to 33 remaining areas and cleared a total of 12,671,248 sqm. Petchabun, Uttaradit Nan and Phitsanulok provinces all had areas declared to be totally safe. Many mines had been laid in the past during the Thai Governments conflict with Communist insurgents from1965-1981, especially in the northern region. The mines were mainly laid in deeply forested areas where insurgents hid themselves in provinces such as Petchabun, Chiang Rai, Nan, and others in the northeastern part of the country. However, in the North, most of the landmines can be found along the border areas with Myanmar. He said there was about 536 square kilometers, affecting 161 villages along the Thai - Burmese in Mae Hong Son, Chiang Rai, Tak, Kanchanaburi, Ratchaburi, Petchaburi and Prachuap Khiri Khan. Areas bordering Cambodia are still affected by land mines remaining from the Khmer Rouge regime; Sa Kaeo, Chanthaburi, Trat, Buri Ram, Surin ,Si Sa Ket and Ubon Ratchatani. Additionally provinces bordering Laos also have some mines remaining and include Nong Bua Lam Phu, Udon Thani, Phayao, Phitsanulok and Phetchabun. There are 27,530 villages in 84 districts in what are considered risky areas, with more than half a million people affected. The Center plans to bring modern technology to reduce the the number of mines and to fall in line with the Ottawa Convention on Mines by 2018. Thailand signed the Convention on the Prohibition of the Use, Stockpiling, Production and Transfer of Anti-Personnel Mines (also known as the Mine Ban Treaty) on 3 December 3, 1997 and ratified in on November 27, 1998, making it the first South East Asian nation to do so. The TMAC was formed in 2000 to operate under the convention.